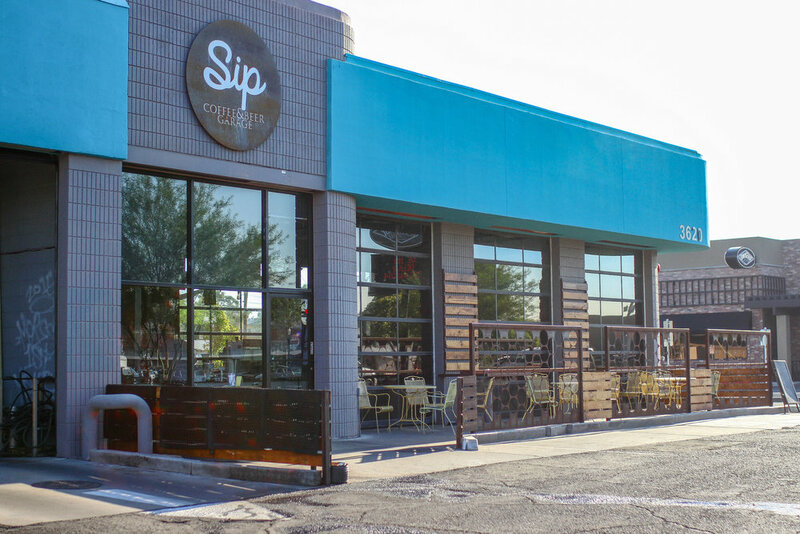 Sip brings the local community in Phoenix and Scottsdale the best coffee, beer, and cocktails of the craft movement. Each space we move into is a restoration project, maintaining the original flavor and as many materials as possible from vacant buildings and breathing new life into them – and the neighborhood around them. Our spaces are cozy yet functional and are filled with regular events to keep the hum of culture thriving – all with something fresh to Sip on. We keep our ear to the ground for local talent to feature in events, and are always home to local entrepreneurs, professionals, students and families alike. 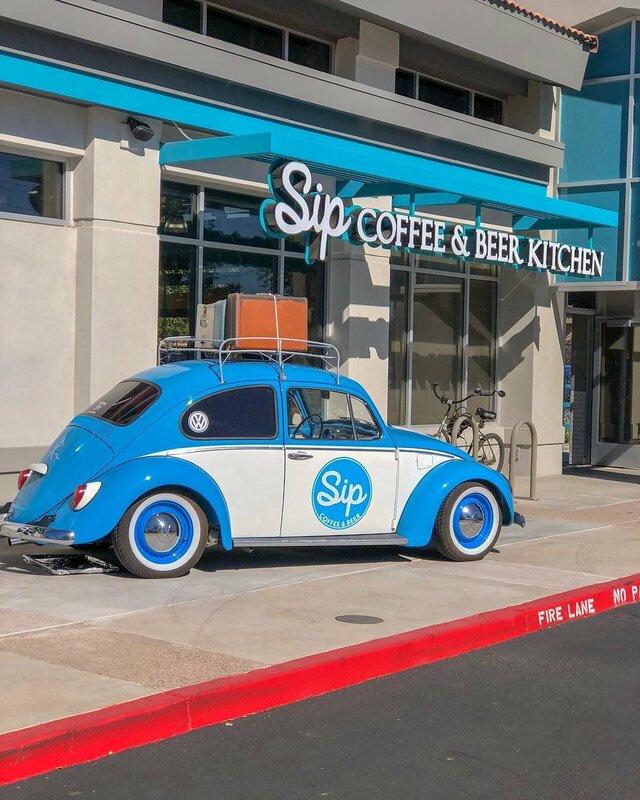 Sip Coffee and Beer Garage, our second location, claimed its space in Arcadia with a little more edge and style than House – yet still offers the comfortable Sip vibes we all love so much. Sip and our late night alter-ego Sip Sundown are always working on new events to keep our Sip family in good spirits. Click the flyers below to see some of our favorites, or head over to our Events Calendar to get the bird’s eye view of the month. Sip Sundown is calling all Night Owls. See your favorite local bands, pop-up shops and art shows, and Sip a local beer or a specialty cocktail whipped up to match the experience. Want in? Text us. Click on one of the posters below for more info, head to our events calendar, or text us on our Night Owl Hootline at (928) 224-5897. Choose your location, follow the link, and get to ordering.